Explorers and spice traders in the middle ages can be blamed for creating a lot of confusion through the ages when it comes to the names of spices and herbs. Christopher Columbus, for example, in his quest for a shorter route to India and it’s source for black pepper, ended up in the Americas instead. Here he tried chilis and since they had heat, called them pepper. Ever since, we’ve been stuck calling them peppers or chili peppers. But when it comes to coriander, I’m not sure who to blame. The herb is called coriander in some countries and cilantro in others including the US. 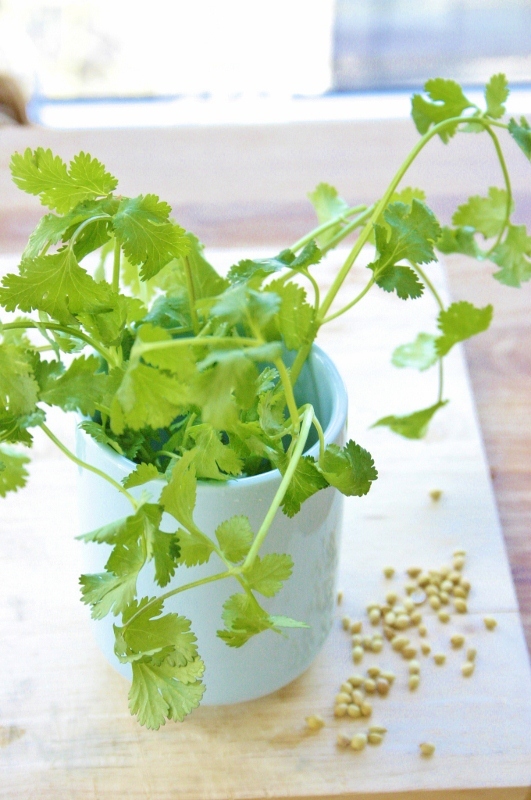 The coriander plant is very useful in flavoring food. Its seeds can be dried and used whole or ground and its leaves are used as an herb in many cuisines. But its roots and stems can also be used. In many countries, India included, all parts of this plant are referred to as coriander. You know to use the herb or seeds based on context. 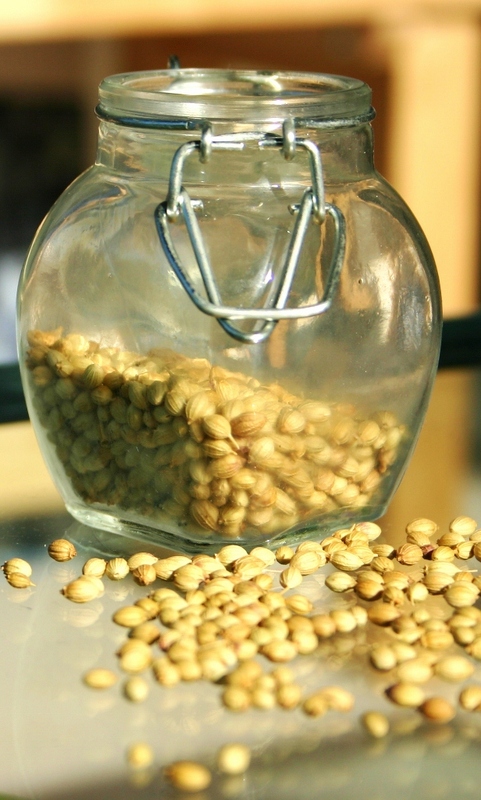 In many Indian recipes the term coriander only refers to the herb and coriander seed is specified as such. When I started testing recipes for Veena’s Market, I know I confused many people by using coriander and cilantro interchangeably. Now I’ve learned to make an effort to say cilantro every time I refer to the herb. Gernod Katzer who maintains one of the best resource sites on spices posits that people called coriander herb cilantro since culantro, aka cilantro extranjero in Mexico, has a very similar flavor. That makes sense. Don’t like the taste of cilantro? Think it tastes vile? Did you know that it is because of a genetic defect? To many people, the flavor of fresh cilantro comes across as soapy. Coriander seed on the other hand, is fine. Personally, I’ve never heard of Indians or Chinese who hate cilantro but have heard of lots of Americans and Europeans. Of course this is very unscientific and anecdotal, but it makes me wonder if Asians don’t have this defect or whether they’ve gotten accustomed to the taste. Are you someone who hates cilantro? Do you hate it only when it is used fresh? Can you discern the taste when the cilantro is cooked into the dish?